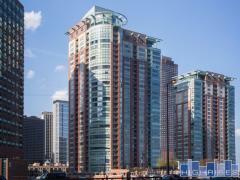 Harbor House is a 29 story High-rise condo building located in Chicago's Lakeview neighborhood. The units offer species floorpans with 1-3 bedrooms. Building amenities include a bike room, fitness center, party room, library, pool and much more. Have any comments or questions about Harbor House? Ask your question and/or share your thoughts about this Building.